Papaarangi is Tumuaki and Head of Department of Maori Health at the Faculty of Medical and Health Sciences, University of Auckland, New Zealand. She holds science and medical degrees from the University of Auckland and is a specialist in public health medicine. 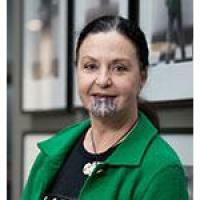 She has tribal affiliations to Te Rarawa in the Far North of Aotearoa and her research interests include analysing disparities between indigenous and non-indigenous citizens as a means of monitoring government commitment to indigenous rights.